No, they don’t; or at least they don’t have to. The good news: green infrastructure is expanding and gradually softening a proportion of our planet’s increasingly urban surface. It appears we’re on the right track, as recent years have witnessed a global emergence in the implementation of ecological interventions alongside the growing awareness of our inter-connectivity and our complex needs for nature. Yet: from my perspective as a plant ecologist, I regret to say that many green infrastructure installations miss their full ecological potential. While monoculture is better than concrete, diversity is generally better than monoculture. The ideal of green infrastructure is two-fold: it must be multi-functional and it must express ecological sensitivity. If green infrastructure were not such a crucial and simple element for offsetting humanity’s footprint—and for sustainability, climate change adaptation, resilience, social well-being, the restoration of natural cycles, ecosystem function, biodiversity, and so on—I could ignore the missed opportunities that I’ve observed. 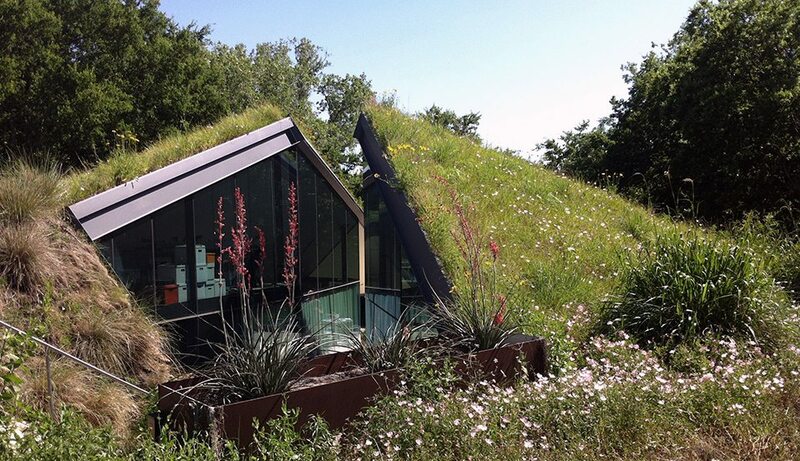 Surely, a xeric green roof is better than a gravel roof, and a grassy swale is better than a bare ditch? As a plant ecologist with over 15 years’ experience working in this multidisciplinary domain, this essay has encouraged me to share some challenging reflections and observations. Confident and loyal to the faith that we all want the same thing—a healthy future on this beautiful planet—I hope you will share your perspectives and opinions. A major challenge for the 21st century will be ensuring environmentally and culturally sensitive urban landscapes for the health and well-being of future generations (Millennium Ecosystem Assessment, 2005). As the world and its human population become increasingly urban, the provision of plants and soil in the built environment—green infrastructure—is essential to providing ecosystem services and improving the lives of urban dwellers. More than 60 percent of the area projected to be urban by 2030 has yet to be built (CBD, 2012), so the window of opportunity to future-proof our biosphere is immediate. Human settlements need more green infrastructure providing multiple ecosystem services if they are to be liveable and sustainable (Andersson et al., 2015). With respect to urbanisation, green infrastructure is an obvious tool to facilitate our necessary shift from the industrial to the ecological age. More than 60 percent of the area projected to be urban in 2030 has yet to be built (CBD, 2012, back cover). The benefits of soil and plants for reducing the ecological footprint of human settlements and for ameliorating some challenges of urban life are well documented and date back to the earliest cities. By definition, green infrastructure is a network of nature-based solutions that are cost-effective and offer multifaceted solutions for social and environmental issues in the built environment. Green infrastructure includes bioswales, rain gardens, vegetated roofs, and living walls, but also green spaces, trees, and grassy verges. An ideal installation offers resources for biodiversity, improves air quality, mitigates stormwater, and supports ecological functions such as nutrient recycling, but it may also provide thermal insulation; enhance thermal comfort; facilitate social cohesion; offer space for creativity, inspiration and connection; and provide experiences of nature. Despite the obvious associations to plant ecology, experiences from both research and practice suggest that collaborative ecologists form a minority amongst the other disciplines working with green infrastructure. This has been demonstrated for vegetated roofs, whereby the research areas of engineering (followed by environmental science and construction technology) have ten times more publications than plant sciences (Blank et al., 2013). Practical experience also suggests that multidisciplinary teams lacking ecologists are more likely to specify green infrastructure lacking in ecological integrity. If this is the status quo, then we should lower the bar of what benefits we can expect from green infrastructure. But this discredits the potential of green infrastructure, particularly as simple measures can transform substandard designs into expressions that approach the ideal. Acknowledging the term “ideal” is loaded with subjectivity, I shall nevertheless try to describe the ideal of green infrastructure from the plant ecology perspective. Put simply, the ideal of green infrastructure is two-fold: it must be multi-functional and it must express ecological sensitivity. In other words, it will provide a range of ecosystem services, demonstrate sensitivity towards natural cycles (e.g., the water cycle) and complex relationships (e.g., food webs), and honour the principles of regenerative design (Lyle, 1994; Orr, 2002). Ecologically sensitive design, in its full sense, is future-oriented because it creates opportunities for the unknown, including processes, organisms, and uses. When an installation or project is too simple in these terms, the resulting vocabulary may include words such as incomplete, lacking, substandard, missing the point, uninspired, etc. My contemplation of the disparity between “ideal” and actuality was aroused by my Ph.D. research (Thuring, 2016), which granted unprecedented insight into the long-term development of extensive green roofs. By surveying the vegetation and soil from some of the oldest green roofs in Europe (some were prototypes of the popular systems defining today’s global market), I discovered significant simplification in plant species and functional diversity. As an example of a commercially available, off-the-shelf solution, these findings issue cause for concern that installations of technical green infrastructure can fall short of their designed intentions over the long-term. Poignantly, the vegetation on the old roofs I surveyed was green and considerably more diverse than many of the more recent installations I’ve seen over the years. The option of cheap design (value engineering?) often leads to ultra-shallow roofs that only manage to support perpetually stressed stress-tolerators—i.e., red succulents—not to mention poor function for water management and other ecosystem services. The disparity between ideal and actual also occurs for sustainable urban drainage system (or SUDS) on the ground. Bioswales are linear, permeable, vegetated conveyances that clean and absorb stormwater. An ideal bioswale will be multi-functional with respect to drainage (both locally and regionally), air quality, aesthetic appeal; it will also be ecologically sensitive by providing a steady buffet for pollinators, birds, and mammals. By contrast, an “uninspired” bioswale might provide limited infiltration (e.g., if the outflow pipe is too low and the water drains away immediately) or be over-engineered (e.g., facilitating drainage rather than infiltration to replenish aquifers); it might be planted with species lacking nutritional value or seasonal interest, and might even be planted inappropriately (e.g., dry-loving plants in the wettest areas). I have borne witness to these scenarios, and am not making any of this up. 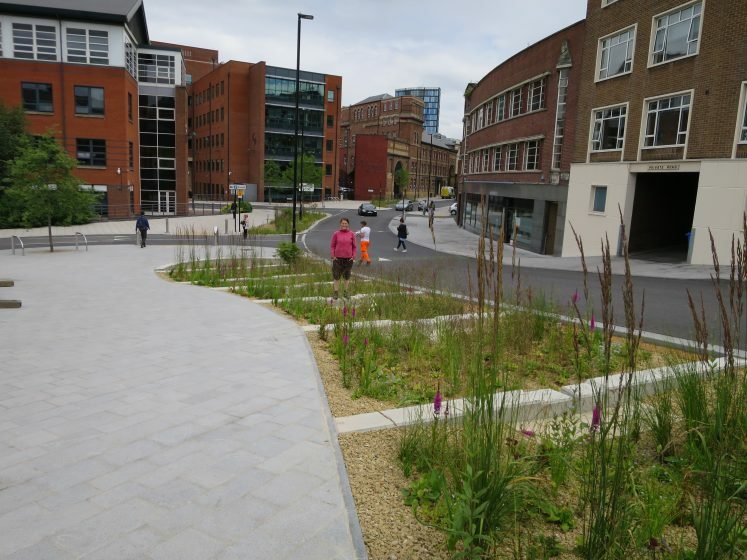 In Sheffield, where I’ve been working the last six years, the first phase of the 1.3 km Grey-to-Green corridor is complete: two redundant lanes in the heart of the city have been transformed into a linear network of rain gardens, bioswales, perennial meadows and spacious tree pits. It’s not perfect, but it evokes the ideal. 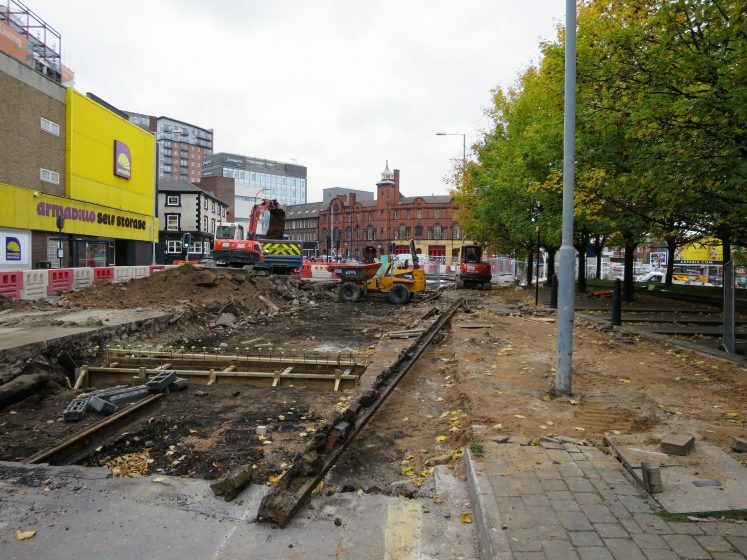 Through its civic engagement program, the University of Sheffield’s Department of Landscape worked closely with Sheffield City Council to devise a fundable plan of urban regeneration. Grey to Green is a good example of what is possible through partnership, as City Council was able to use the ideas and proposals generated by our students to successfully apply for external funding. Based on the project brief, three cohorts of our Landscape students developed designs for a green/ blue corridor that enhances opportunities for biodiversity (with particular reference to priority species), climate-change mitigation (especially flood risk), and business improvement. Temporary interventions were a requirement (e.g., pop-up landscapes, a café), as was consideration of the mixed-use culture of the area. The overarching aim was to create an exemplary site that would attract and engage visitors, be they design professionals seeking precedence; tourists passing by; locals making themselves at home; or birds, insects, or mammals raising their families. Top and bottom: Sheffield Grey-to-Green looking eastward. 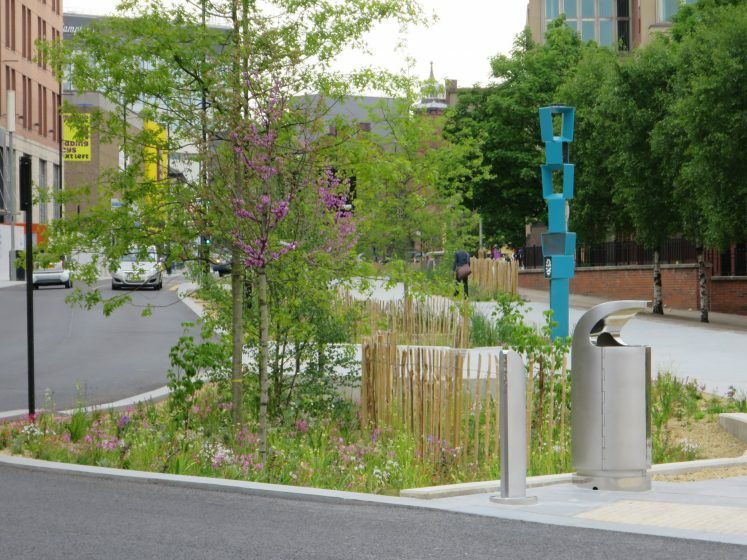 Two lanes were transformed into a linear bioswale planted with species-rich perennial meadow and trees. 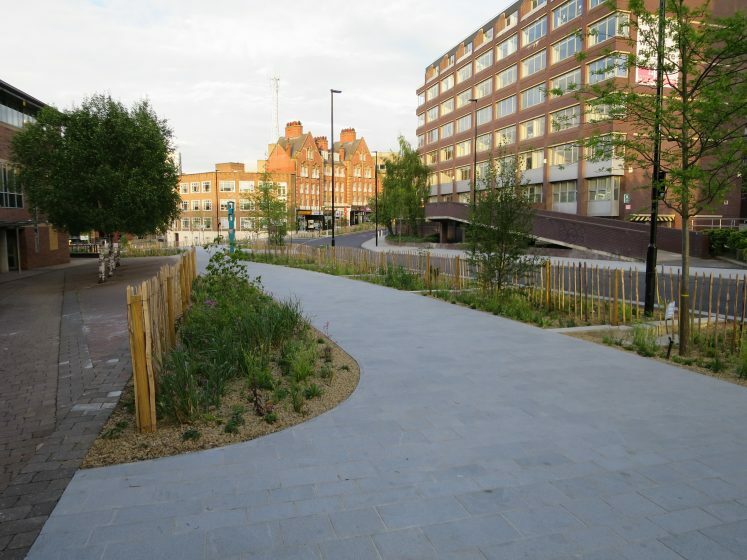 Given the intensive use of the area, the planted part features a mix of native, non-native, and ornamental species, in order to ensure a long flowering period for people, insects, and birds. Top and bottom: Sheffield Grey-to-Green, looking west. 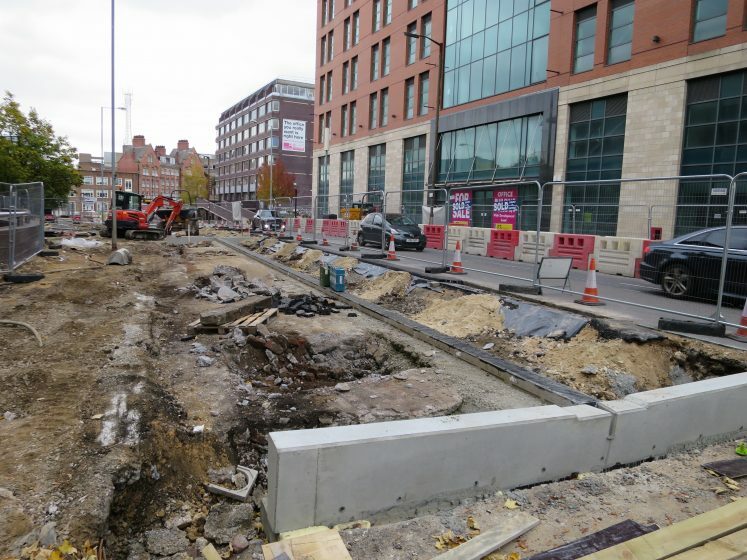 After uncovering tramtracks and other buried surprises, the resulting bioswale is shaped to reduce traffic speed, and its colourful diverse plantings were further adorned with sculpture, furniture, and lighting. Top, middle, and bottom: Sheffield Grey-to-Green. Given the slope of the hill, the bioswale is directed through a series of terraced rain gardens. 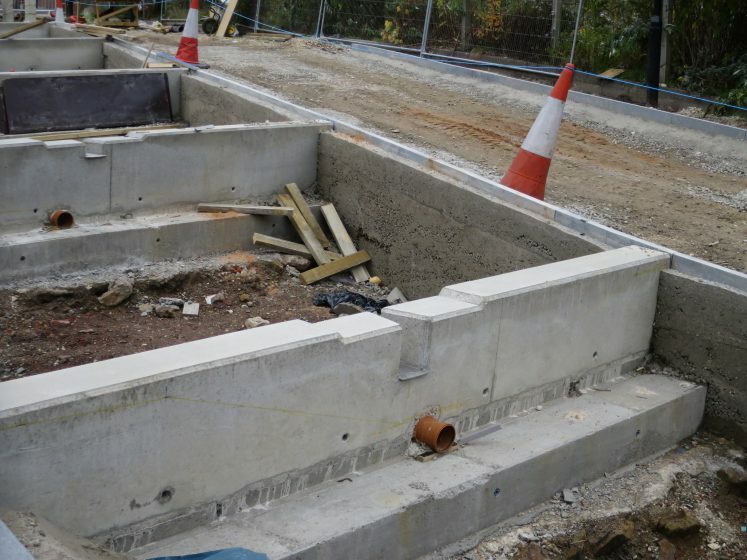 This serves to slow and reduce stormwater runoff entering the River Don below, thereby protecting otter habitat and lowering the risk of flooding in the area. Other examples that evoke the ideal of green infrastructure, from a plant ecology perspective, include the following. 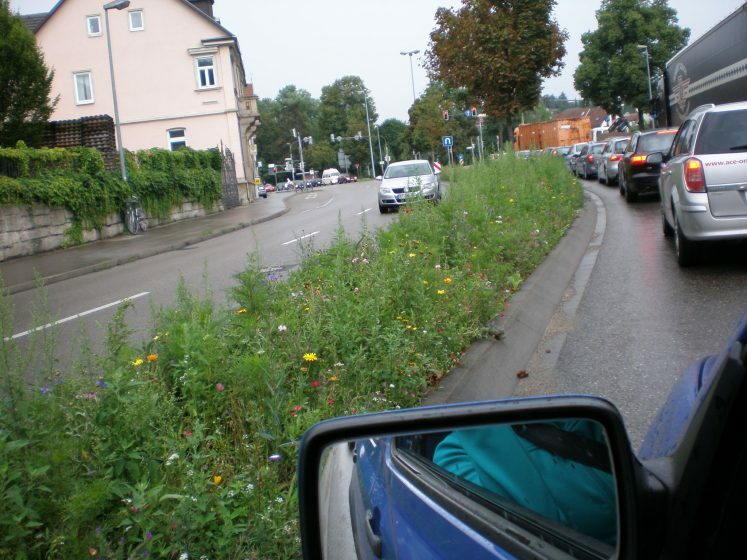 This roadway verge in Germany is colourful and diverse. Given that some of these species are deep-rooting, this verge likely absorbs more water than a simple turf verge (and requires less maintenance). The species diversity also implies consistent provisions for insects, not to mention aesthetic appreciation by drivers. In spite of all the knowledge, technology, systems, and shared language, why do most designed landscapes not implement ecologically sensitive approaches? Is it because many of the disciplines involved in green infrastructure (architecture, civil engineering, landscape architecture) do not receive training or education on ecology? Perhaps their curricula are focused on the practitioners’ varied obligations to society and thereby lack the space for lessons in ecology and how to address the pressing issues facing the biosphere? Is financial constraint the main reason? Or are there other mechanisms or even relationships that determine whether a green infrastructure project will evoke the ideal or not? What are the main drivers that promote green infrastructure that is ecologically sensitive and multi-functional? What will it take for “ideal” installations to become the norm, and for “conventional” approaches to become the minority? On a scale ranking theory to practice, how collaboratively do multidisciplinary teams on green infrastructure actually work? If any of the associated disciplines are strongly rooted in their traditional outlooks (i.e., silos), can this be attributed to their education and training, through the taught approach to collaboration, or otherwise? 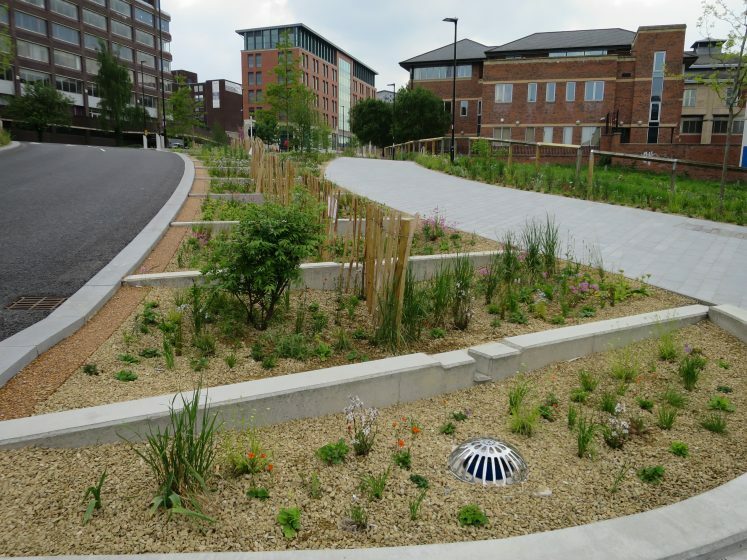 What would help to advance the expression and integration of ecological knowledge into green infrastructure installations? How might this look in cases where social requirements take center stage? Can social spaces also be multi-functional and ecologically sensitive? 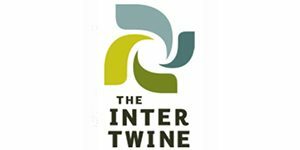 With respect to this collective blog, over the last year, TNOC has published 14 essays reporting on the opportunities and challenges of green infrastructure in various cities in North America and Europe, as well as Japan, Uganda, and India. Compared with more abundant tags such as architecture (68), experiencing nature (100), climate change (46) or ecosystem services (55), green infrastructure still a relatively small topic. As such, it is encouraging to learn about the experiences and efforts of others in this domain, and to reflect on the dynamic influences that determine what goes forward in what form. Note: The questions posed are drawn from a proposal that, if funded, would seek to determine the disciplinary limits to ecologically sensitive design in the built environment. Your feedback is welcome, whether in the form of sharing experiences (and opinions) or speaking to points of resonance that could help to direct or streamline the research. ANDERSSON, E., TENGO, M., MCPHEARSON, T. & KREMER, P. 2015. Cultural ecosystem services as a gateway for improving urban sustainability. Ecosystem Services, 12, 165-168. LIGHT, A. 2003. Urban ecological citizenship. Journal of Social Philosophy, 34, 44-63. Thanks, Nathalie, and what a great time to re-read your article, since Paris has since become a zenith of support for ecological initiatives. As well, I was tickled to remember that “La ReCyclerie” was ever just an idea. 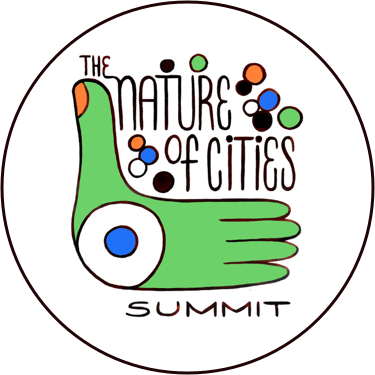 In the meantime, as we know, it’s become a hot-spot for exemplifying the common sense economy (I don’t know what else to call it..) with applications of fixing, growing, education, organising, helping, and well-being. It is also hugely popular, having skyrocketed right past the incubation threshold of newcomer acceptance that most new Parisian establishments must endure. I learned this spring that within one year of its establishment, La ReCyclerie became the largest consumer/ purveyor of beer in Paris, which is a clear expression of its popularity. Yes, Gary, excellent point! Beyond the conceptual ideal, there are mechanisms as simple as species lists and availability that determine what is actually possible. Working for NATS Nursery, a native plant supplier for the Pacific Northwest, gave me some insights into this. 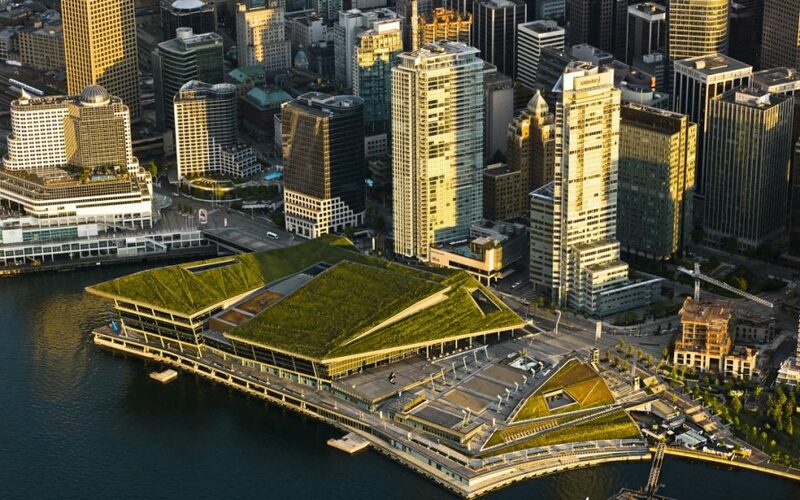 When the Vancouver Convention Centre was specified with 6 acres of native species, this issued a cascade of effects. First, many of the species had never before been grown commercially (much less in peat-free potting soil, as required by the LEED goals of the building), so this contract catalysed 2 years of experimentation in propagation. Fast forward to 2016, ten years after the trials started, and landscape architects in Cascadia region have a fantastic selection of native species to choose from, whether at grade or on roofs or walls. Thanks very much for those sentiments and experiences, Robin. So, if cross-pollination of the education received by the various disciplines that interact in the urban domain is crucial, this leads to the question of how this can best be achieved. As an ecologist, I can easily envision the integration of (contemporary) ecology into the schools/ curricula of planning, design, policy, etc, if only because gaining insights into the natural world (and being given opportunities to connect with it) can be personally and spiritually enriching. I don’t think I’m biased on this (though do I acknowledge I’m idealistic). As you note, it can be difficult even for those of us with the best of intentions to “fully realise how complex living ecosystems are”. Too right! So perhaps a foundation course that includes ecology could at least open the intellectual possibility that the world is deeply interconnected and that its ecosystems defy actual understanding. At the very least, this might inspire humility and respect with regards to the natural world, and maybe even awe. Wonderful thoughtful article! Thank you for helping to direct attention to the value of green roofs in our urban environments. Thanks for this article, which echoes to my own impressions. As an ecologist and urban planner, I think that education has indeed a lot to do with the lack of complete ecological considerations when designing many green infrastructures. For an urban planner, even with good intensions and a sensitivity for environment, it can be really hard to fully realize how complex living ecosystems are, how diverse the interactions between species and that any two plants are not equivalent even if they look similar. Likewise, ecologists often lack the tools to give advice that comprehend all the constraints of city planning (be they technical, political, social, economical…), some of which won’t necessarily be known before the project actually starts and the first design is amended accordingly. Planners need solutions that can be easily and rather rapidly ajusted with any new factor that could be met along the way, without missing the point for biodiversity. As is shown by the examples you put forward, only an extended collaboration with an ecologist, who will monitor the project at all times, can bring this level of accuracy. But for planners to acknowledge they need this kind of support, it’s crucial for them to learn the basics on how a life form can’t be thought outside its larger ecosystem and how “trees”, “bush” and “grass” are not sufficient to describe plants diversity. The origin of this problem is with the commonly held view that landscapes in urban areas should be ornamental and nothing more. The conventional horticultural industry was established to provide ornamental and food plants, not to provide plants for ecological restoration. 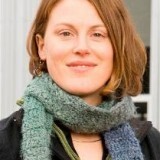 When people look to be more ecologically-informed in their approach, they are hampered by a lack of knowledge of plant ecology and difficulties in procuring many of the plants that ecologists would like to use. This is a particularly difficult problem in countries where sophisticated plant nursery industries are yet to be established. There you can see for example if a City gives the conditions and follows the whole process, so all participants in the city development, planning and GI … and even the question of money will be solved!